I love my medical "aid", that's why I pay them over R5000 every month. But I keep forgetting that they don't care about my health at all, even though they are called "Discovery Health". All they care about is "their" money. They seem to forget that it's my money that I paid them for a specific purpose. This became obvious to me again this week. I take 3 different chronic medications, and because I started taking them at different times, their glorious computer system can't issue them all at once, but insists that I go to the pharmacy 3 times a month. What a waste of time, not to mention the cost of processing each box of tablets separately. 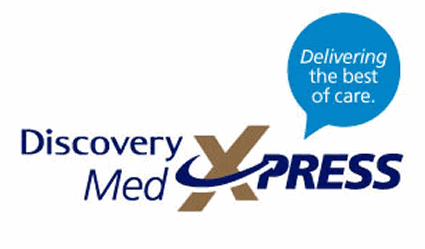 So when I got my new script I decided to try out their newly-announced "Med-Xpress" service where they promise to deliver the medication to my door at no extra cost. What a fiasco. They can't issue all the medication at one time, nor can they issue a partial amount. If I want this to happen then I can obtain it from a pharmacy but I will have to pay cash because the partial claim will be rejected. Even though it is "covered" as chronic medication. If that's what they call "delivering the best of care" then I hate to imagine what the "worst of care" is going to be like. Clearly some copywriter just made up a slogan irrespective of how true it might be. Lying to the public is not good business, Discovery Health! Update Mon 16: Some officious little bureaucrat phoned to tell me that the reason they make it so difficult is "because of legislation" and not because of their computer system. He also tried to tell me how to manipulate the computer system so I could get more tablets earlier, which is exactly the opposite of what I asked for on my HelloPeter complaint. When med A runs out, take the new script to the Pharmacy and just ask for med A. That is shown on the diagram as visit "A". When med B runs out, visit the Pharmacy again and ask for 25 tablets only, and request a 25 day repeat cycle, not the usual 30. Visit "B". When med C runs out, request only 10 tablets, and ask for a 10 day repeat cycle. Visit "C". Theoretically when all 3 meds run out on the same day, their computer system will allow you to now claim 30 tablets of each, on a standard 30 day repeat cycle. However, I suspect that the system will just fall over and refuse to issue anything other than med A. Thank God I'm not on the Pill, in which case I'd have to ask for everything to be put on a 28 day cycle. Actually that may be more convenient, since I could then always go on the same day of the week. That's why all tablets come in multiples of 28, not 30: because they think about the needs of women. Boxes of tablets in multiples of 7 would be really helpful, but the tablet sellers don't care about their patients. Update 26 May: Discovery phoned to find out how I would rate my interaction with the caller who phones about my HelloPeter complaint. I gave him a 1/10, the lowest score they allow. MedXpress has a lot more problems than this article indicates. We have been on the program for one month now and have found the following problems 1) They filled my wife's order last month from our GP's script for six more refills, but according to their computer system they no longer have the script; 2) they did not include Calciferol, which is on the script, in their last shipment for unknown reasons; 3) they shipped the wrong test strips for my wife's glucose meter and 4) they did not notify us by SMS, as promised, to remind us to reorder six days in advance of our need. The confusion is this new systems is an incredible mess. Unless Discovery gets their act together real soon, I'll have a lot more problems to point out as time goes on.